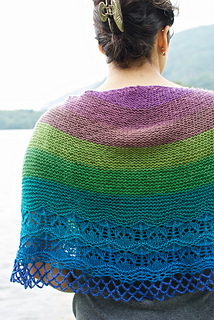 Knit this pretty shawl in Caterpillargreen’s fabulous Shawl Stripes MCN XL, and let the yarn do all the work! 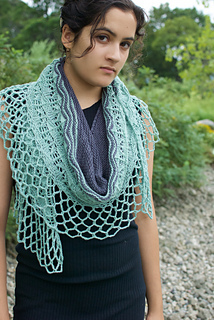 Or, try your hand at the modifications included in the pattern, for using two different colors of solid yarn. 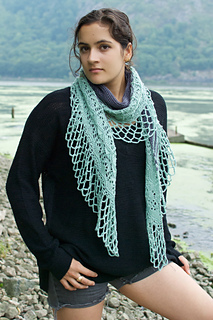 Worked from the top down, the body of garter stitch is followed by a pretty lace border, before finishing off with a simple crochet chain edging. 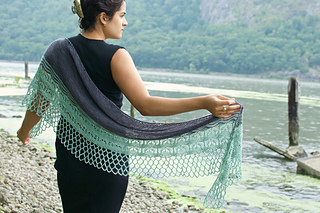 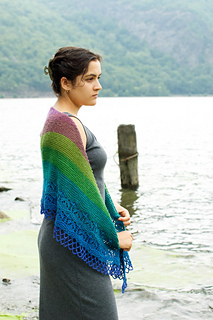 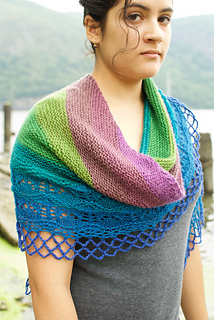 This pattern calls for one XL skein of Caterpillargreen Shawl Stripes MCN. 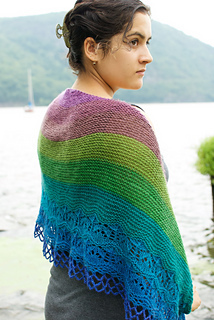 It may also be worked in a solid color, or any combination of stripes. 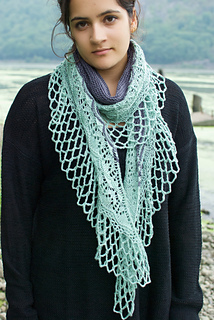 The lower edge is worked in very simple crochet. 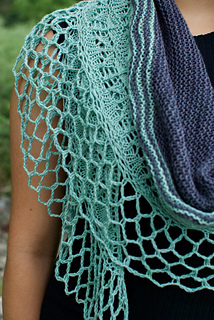 If you have ever worked a crochet chain bind-off you will have no problem with this edging.